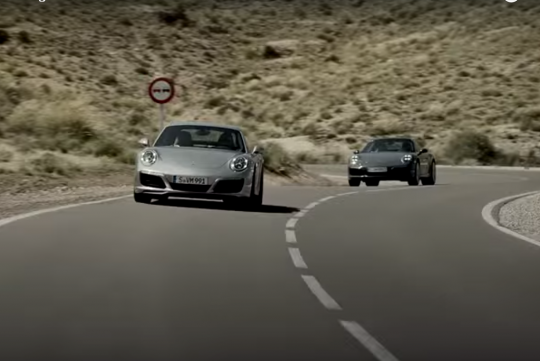 Porsche reckons its new 3.0-litre turbocharged flat-six installed in its facelifted 911 Carrera and Carrera S has no downsides, according to the video posted below. While most buyers of the base 911 will probably not mind and in fact welcome the change, it marks the slow and likely start turbocharging taking over the whole 911 range. Not that its bad, given that both the turbocharged Carrera and the Carrera S get a 20bhp and 60Nm increase in power and torque as compared to its older, naturally-aspirated engines. Fuel economy improves too. So has turbocharging removed some of the flat-six's rapsy soundtrack? Watch the clip below and find out for yourself! Find it kinda boring that every car is having a turbo now. Kinda miss the old days when base = 2v per cylinder, performance = 4v and/or injection/DOHC and serious/insurance busting = turbo. Well to make more power with less fuel,less pollutant,Turbocharging is the only way to go. Yes and no I guess. Mazda showed with its Skyactive you can still get some out of NA. SkyActiv is a fuel saver,but power wise,still not up to petrolhead standard. Mazda has never had a supercar (the never-released Furai doesn't count), and SkyActiv just joins the heap of technologies like VTEC, VVT, etc. etc. that help an NA engine a teensy bit but never come close to the boost of FI (turbo and supercharging). I'm OK with more cars being turbocharged, as they've mostly ironed out the worst kinks with turbocharging in the old days (the dreadful lag and the need for turbo timers being major ones). Modern turbocharged performance cars give practically instant torque on tap.